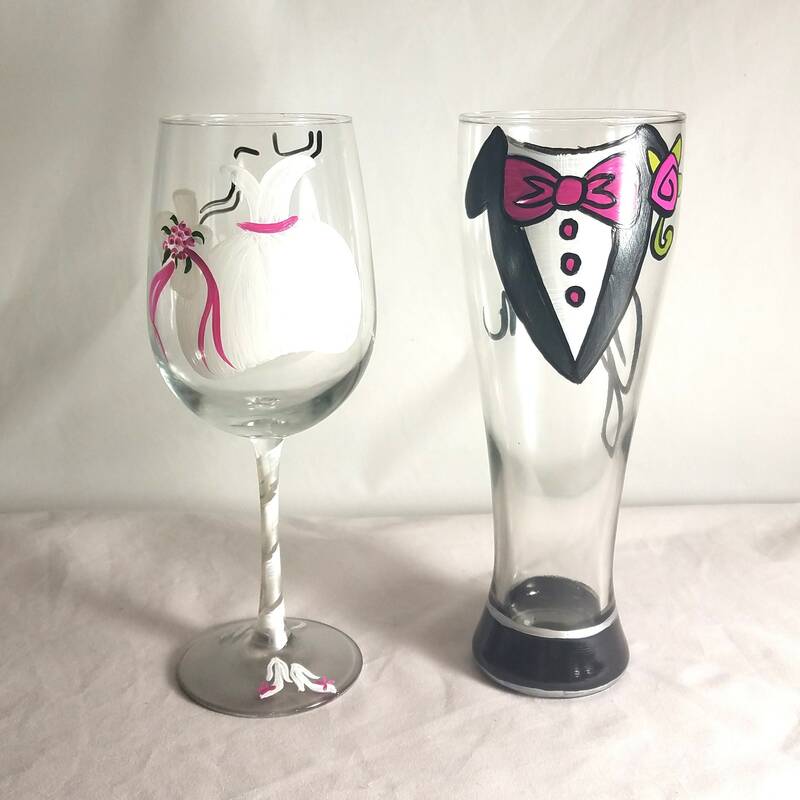 This hand painted glass set set represents a Bride and Groom with a Gown and Tuxedo. This set has hot pink accents but is available in any colors and any personalization at no extra charge. 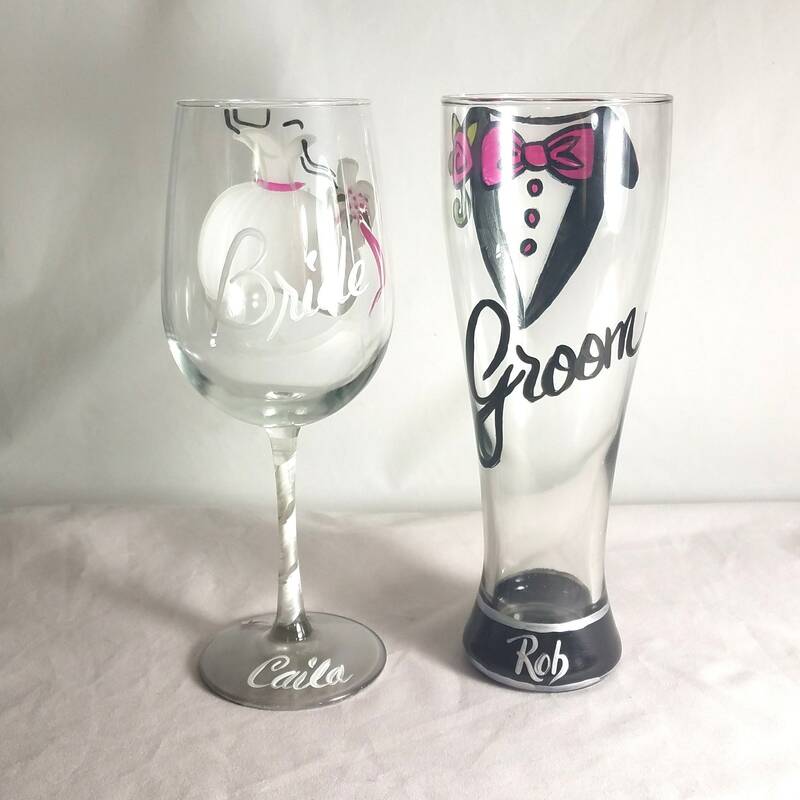 This whimsical set makes a great gift for the Bride and Groom.